Can you help us develop our guide for services planning to use GOV.UK Verify? The guide for services planning to use GOV.UK Verify helps government services integrate with GOV.UK Verify. It offers step-by-step guidance to explain what service managers need to do and how the GOV.UK Verify team can support them as they plan and deliver their integration with our service. We’ve been developing the onboarding guide for some time now - Oliver blogged about the initial development of the guide back in November 2014, and Claire wrote about the improvements made in early 2015. We’ve carried on improving the guide to reflect what we’ve learned supporting the first 13 services to connect to and use GOV.UK Verify. You can see a list of all the changes we’ve made by looking at the version history of the guide. For example, we’ve included new guidance advising teams to seek internal approval for the way they want to use GOV.UK Verify within their service early on, so that you don’t suffer delays when you’re ready to start using GOV.UK Verify but haven’t got all the right approvals in place. Currently Stage 4 of the onboarding guide (build and integration testing) holds all the technical guidance for service teams. We’ve identified a clear user need for this to exist as a separate and more detailed document for technical teams, whilst retaining an overview in the onboarding guide to help everyone in the service understand the overall process. We’ll therefore be rewriting the onboarding guide Stage 4 and building up the separate technical guide with more detailed information for technical delivery teams. Now, we’re looking for volunteers to help us continue to improve the guide and make it as useful as possible for the people who need to use it. We’re planning to conduct user research to help us improve them, ensuring they’re appropriate, accessible, and based on user needs. We’re looking for service managers and members of technical delivery teams to help us do this. Please email us if you’re from a government service that’s already connected to GOV.UK Verify - or is planning to integrate - and you’d like to get involved. 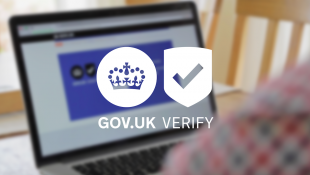 For user support issues or general feedback on the GOV.UK Verify service, please refer to this blog post.